Wheeling Jesuit University is a four-year private liberal arts school, with 31 undergraduate degree programs as well as five master’s and 1 doctoral program. WJU also offers adult and continuing education. Founded in 1953, WJU enrolls over 1,700 students. Students must complete the application for admission and submit official transcripts from West Virginia Northern Community College and any other college previously attended. A transfer student must have a 2.3 GPA to be eligible for general admission. Students with less than 12 semester hours are required to also submit official high school transcripts and SAT or ACT scores. Transfer credit is only awarded for coursework completed at accredited institutions in which students warned a C or higher; grades of C- are not accepted. For those who have earned an associate’s degree, the University will accept that associate’s degree and all related credits in total for transfer credit. Evaluation of credits will be made by the Registrar at the time of acceptance. The University accepts credits only; a student’s GPA will begin with courses taken at WJU. Campus visits are offered. To schedule an appointment, contact the Admission Office at 1-800-624-6992 ext. 2359 or email admiss@wju.edu. The division of Adult and Continuing Education can help arrange a campus visit or individual appointment as well. This department can be contacted at adulted@wju.edu or 800-873-7665. Students must be accepted for admission in order to receive an official offer of financial aid. An applicant must submit the Free Application for Federal Student Aid (FAFSA) and list WJU’s code, 003831. The Financial Aid staff can be contacted at 304-243-2304. Transfer students are eligible for the Presidential Scholarship, Dean’s Award, and Phi Theta Kappa scholarships. For more information about these requirements, visit http://www.wju.edu/admissions/finaid/scholarships.asp. The adult and continuing education department offers online programs such as the RN to BSN program, health care leadership, and an accelerated certification for teaching program. 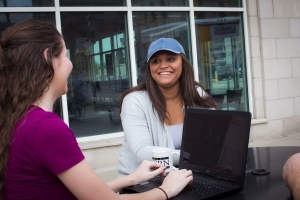 An accelerated degree completion program, Bachelor of Arts in Organizational Leadership and Development (BOLD), and other evening bachelor degree programs are available. For more information, contact Melissa Rataiczak at mrataiczak@wju.edu., 304-243-2250, or 1-800-873-7665.